In our latest staff workshop run by CABA, the team at FI learnt how to recognise stress and the 5 habits we can all adopt to help combat stress symptoms. No one is immune to stress and the advice applies to students, tutors and staff alike; so for Stress Awareness Month 2019 we’d like to share these 5 essential wellbeing habits. Why is it so important to recognise stress? In any given week, 1 in 6 working age adults report feeling depressed, anxious or experiencing stress-related problems. 1 in 5 people reported taking a day off due to stress, yet 90% of those felt unable to be honest about this being the reason for their absence. 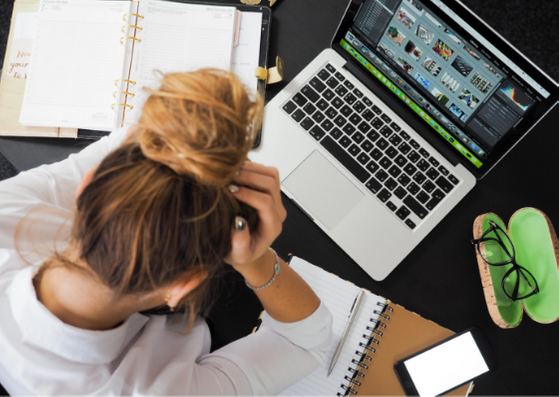 Stress is something that affects everyone from time to time and it’s important to be aware of your mental wellbeing, particularly when juggling a career and a qualification. Learning how to recognise stress in yourself and others is the first step towards improving your wellbeing. Incorporating this advice from CABA into your daily routine could improve your wellbeing. Connect:Feeling connected and valued by others, at home, work, or the community is a human need and essential for our wellbeing. Invest time in your relationships. Be Active:As well as being good for your physical health, exercise makes you feel good. A tip we learned from CABA is to take part in activities that you enjoy and that are appropriate for your physical ability. The idea is to build physical activity into your daily routine; so it makes sense to choose something that doesn’t feel like a chore! Take notice:Be mindful. Pay attention to the world around you and how you feel. Take notice of things that look beautiful or interesting. Once you learn how to slow down your thoughts, you will be amazed at what you notice. It will help you to reflect on your experiences and put things into perspective. Keep learning: Try something new or pick up an old hobby. It will lift your confidence and give you a goal to work towards, which is essential for wellbeing. The sense of achievement will give you a boost. Give:CABA taught us that a single act of kindness once a week for 6 weeks, is enough to cause an increase in wellbeing. Your act of kindness can be anything from thanking or smiling at someone to participating in a charity fundraising event.